This contemporary collection of dinnerware and home accents by Montana artists Mark and Kelly Harro brings updated style to classic lodge living. Fresh artistry with a feminine look and a touch of vintage flavor decorates these charming plaques. 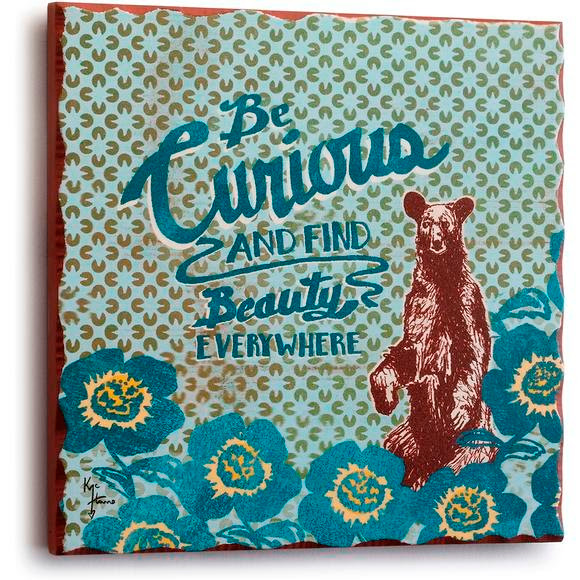 Be Curious and Find Beauty Everywhere.